Dr. Moneer Jaibaji is a distinguished and double-board-certified plastic and general surgeon who is trusted and respected by many patients and colleagues in the cosmetic surgery field. He is dedicated to offering advanced cosmetic surgery treatments in a warm and caring environment to those from San Diego County and all over the country. Dr. Jaibaji has helped many people attain the shape they desire through his advanced surgical techniques and procedures. 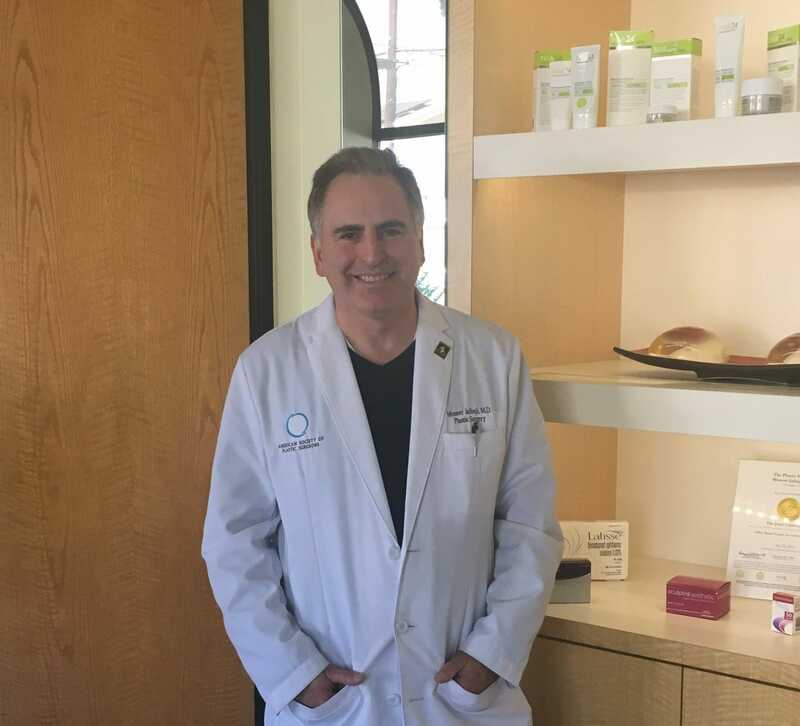 In his beautiful Coronado practice, he offers a wide array of artistic cosmetic and restorative treatments for the breasts, body, face, and skin designed for those who want to enhance their appearance, improve their self-esteem, or reduce the effects of aging. Dr. Jaibaji is also dedicated to providing patients with reconstructive surgery, including facial reconstruction after skin cancer removal, facial injury repair after trauma, breast reconstruction, hand surgery, and microsurgery. “When I started my practice in San Diego, in 2006, a considerable part of the practice was dedicated to performing reconstructive procedures for the face, breast and body. The practice has evolved over time to provide both Cosmetic and reconstructive surgery. Dr. Jaibaji is trained in General surgery and Plastic Surgery in the UK and the USA. He is a Fellow of the Royal College of Surgeons of England since 1995 and a diplomate of the American Board of Surgery since 2005. In the US, Dr. Jaibaji completed his general surgery training at St. Joseph Mercy-Oakland Hospital, Pontiac, Michigan. He completed a formal training in plastic surgery at the University of Oklahoma, Oklahoma City Health and Science campus. His ongoing education includes post-doctoral training at the University of Southern California and training in New York at the prestigious Lenox Hill Hospital and the Manhattan Eye, Ear and Throat Hospital. Prior to moving to the United States, Dr. Jaibaji trained in plastic and reconstructive surgery in England at three prestigious centers: Oxford, Leeds, and Liverpool. Dr. Jaibaji is a double board-certified surgeon, certified by the American Board of Plastic Surgery and the American Board of Surgery. Dr. Jaibaji has made numerous contributions to the medical and surgical fields through the publication of many research projects. He has published several papers in plastic surgery journals and other surgery journals, and he also has presented at numerous medical conferences both in the United States and internationally. Sharp Coronado Hospital; Coronado, CA. Director of Wound Care Clinic. Sharp Memorial Hospital, San Diego, CA. Sharp Grossmont Hospital; La Mesa, CA. Medical Director, Office Based Surgery Center, Coronado, CA.